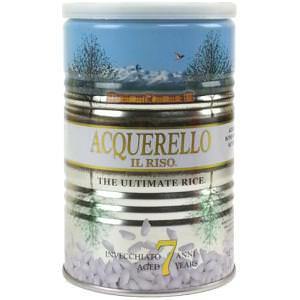 Not easy to find, but you did, because we have it, the Organic Acquerello Carnaroli Rice that is aged for seven years. 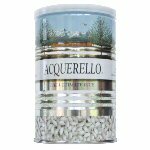 Acquerello is the rice grown, aged, whitened and packed in Italy on the Colombara farm by the Rondolino family. The Carnaroli rice cultivated at Colombara, being the only variety sown since 1997, it is pure and produces uncontaminated Carnaroli seeds. It is the ultimate rice; the unhusked rough rice is aged for at least seven years. The grains are polished using the Helix, exclusive to the Rondolino family, which ensures the lightest shelling and prevents broken grains, Then the rice is re-coated with its own germ using a unique patented process, restoring the rice with its nutrients. When cooking, the rice grains stay wonderfully intact, they absorb flavors exceptionally well, do not bind together and do not lose starch, proteins or vitamins. 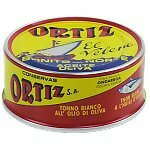 In other words, Organic Acquerello Carnaroli Rice will make your risotto outstanding.